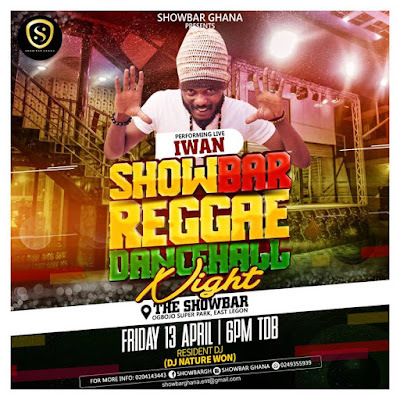 It is Iwan's turn this Friday on the ShowBar Reggae Dancehall Night event bill as the headline artiste and he is calling his Gideon Force fans and all reggae-dancehall lovers to witness his performance. 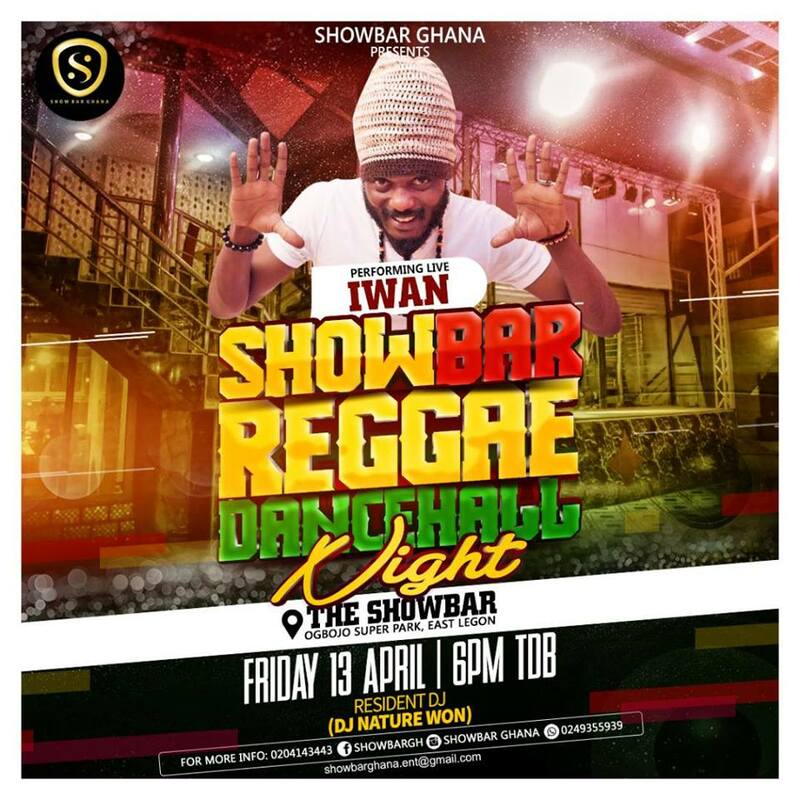 ShowBar Reggae Dancehall Nighty comes off each and each Friday at ShowBar located opposite Ogbojo Super Park East Legon. Time os show is 7pm, latest. To locate Showbar, get around American House [in East Legon] and ask for Ogbojo Junction, where the Goil filling station is. Then take a car to the Super Park which is just a 5 minute drive away from the Goil station. Another easy landmark is the Ogbojo police station which is just 3 minute walk from the Super Park or ShowBar. Also at ShowBar every Sunday is the ShowBar Talent Discovery which is a multi-talent competition for budding competing for a talent management deal and other prizes from the ShowBar executive board..